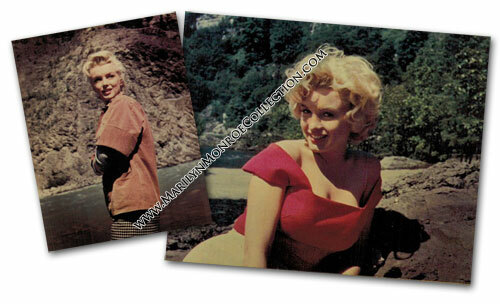 Two original photos of Marilyn Monroe taken by her friend and make-up artist Allan “Whitey” Snyder, on location in Canada during filming of “River Of No Return.” These photos are from Snyder’s personal estate. 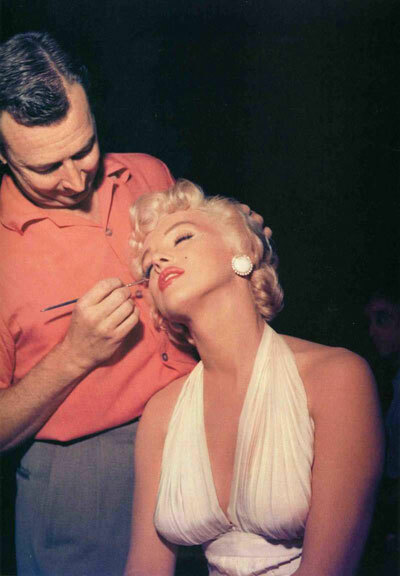 Allan “Whitey” Snyder was a successful Hollywood make-up artist, best remembered as the personal make-up artist of Marilyn Monroe. “Whitey” was Marilyn’s make-up artist throughout her career, from her first screen test at Twentieth Century Fox in 1946 to her funeral makeup in 1962. The pair developed a very close working relationship. Toward the end of her life, Monroe asked Snyder to prepare her face if she were to die before him. This was a promise that he fulfilled after her death in 1962. Snyder was also a pall-bearer at the funeral. For his work, Snyder was twice nominated for Primetime Emmy awards, under the category of Outstanding Achievement in Make-Up. These nominations came in 1978, for his work on the TV Biopic Marilyn: The Untold Story and in 1981, for Little House on the Prairie. His last project was the 1984 television series, Highway to Heaven. For additional photos of Marilyn Monroe, click here.